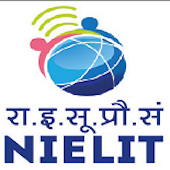 Online Application Details for National Institute of Electronics and Information Technology NIELIT Recruitment of 1 Assistant Director and 2 Scientist-B is given below. Application form and duly attested documents are to be sent to Additional Director(P&A), National Institute of Electronics and Information Technology, Electronics Niketan, 6, CGO Complex, Lodhi Road, New Delhi-110003. In envelope super scribed with 'Application for the Post of Post Name'.